Motorcyclists are at an increased risk of accidents and more likely to stop at another bike accident, so being trained in First Aid for Motorcyclists makes a lot of sense. Dealing with motorcycle accidents has other risks as you will be by a busy road and could be hit by another vehicle. This specialist course covers basic life support skills as well as other injuries that could affect motorcyclists as well as safety by the roadside when dealing with an accident. Our course is completed over one day and can be carried out locally or at your club. Motorcyclists are at an increased risk of accidents and more likely to stop at another bike accident. Dealing with motorcycle accidents has other risks as you will be by a busy road and could be hit by another vehicle. 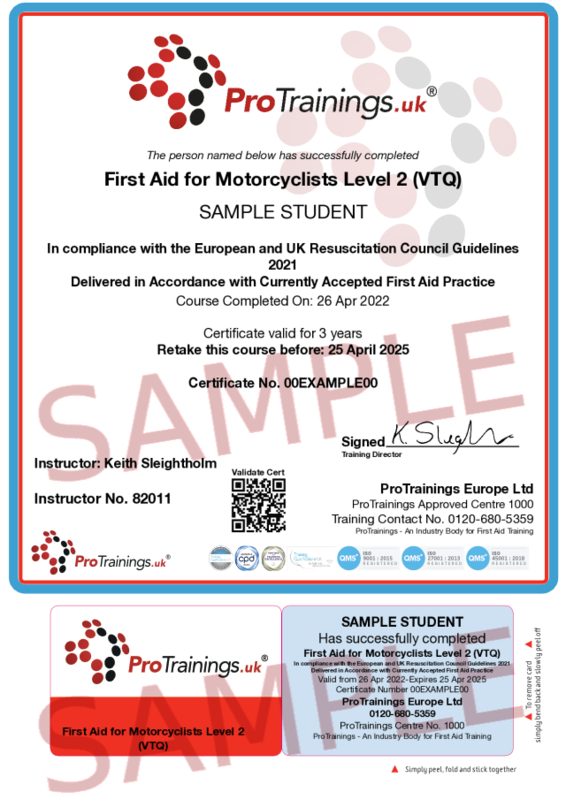 This specialist course covers basic life support skills as well as other injuries that could affect motorcyclists as well as safety by the roadside when dealing with an accident. This is a one day course and can be carried out locally or at your club.